When a Brazilian industrialist hires the R-Group, the world’s most elite information-gathering unit to track the disappearance of his daughter – a dangerous – but quiet hunt begins. But just finding her doesn’t mean all will be well. The team in Switzerland follows the leads from South America to Mexico and the Caribbean, but the data trail is leading nowhere. Sometimes the most important clues come from unlikely sources. By chance, two members of the elite team vacationing in Mexico cross paths with Carlos and Juan’s fly-by-night operation. Cloaking their “moving business” from satellite surveillance, their unique talent for relocating drug lords targeted by the Mexican authorities, along with their cash, gold, artwork and other assets, was legendary. These are Bad Boys, so-called entrepreneurs, whom even the most generous observer would question the legality of their business model. 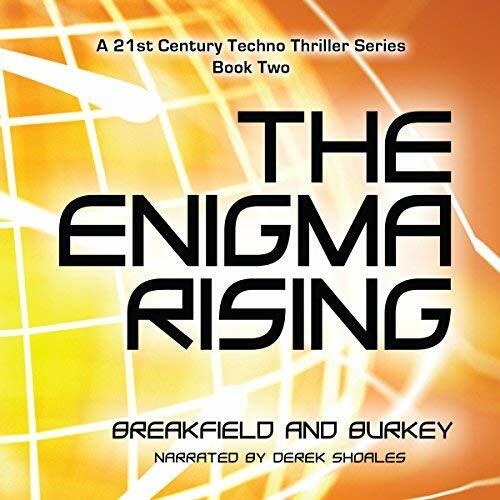 The Enigma Rising continues the award-winning Breakfield and Burkey’s series, overcoming opportunistic cyber-crime in the high-stakes world of information brokering in the 21st century. With its strong cast of characters, this engaging techno-thriller of lost-and-found – and lost again – will take you on an incredible journey into the dark side of technology. Many of the characters in our series do return. This being the 2nd one, The Enigma Rising, we did not bring some of the characters from the other books into this list, yet they are still key. We do want to meet all these stars. When we decided to venture down the path of audiobook production it began as an information gathering activity. Neither of us had listened to audiobooks, but our kids were saying it was the easiest way to multitask. Then one of our friends indicated they were unable to read our stories they were ADAH and that we should record them. Burkey attended an author event and spoke to some folks about their offering of audiobook production, but the cost was so high we avoided for another year. We had another friend who wanted to narrate our first book and tried, to produce several chapters. We really liked her interpretation, but she had not used a production facility. ACX tested the content and it sadly failed the needed sound quality levels. 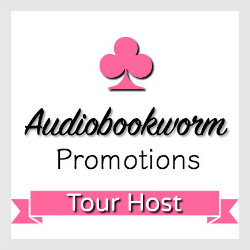 Then we crossed paths with an expert in both narration and with creating audiobooks, Richard Rieman, who explained the process of finding a good narrator, the different ways to pay for the process, and approaches we might take. We listened to auditions and secured a renowned narrator, though we did not recognize that at the time. Again, we still had not listened to a full book via audible. The book was produced and over time we listened to our story being told one chapter at a time. We did not realize the finer points of how to secure changes, tools we should have provided, and the time it might take. It was a huge learning experience for us. We had hoped we would be able to use the narrator for the subsequent stories, but we found ourselves at the cost prohibitive point. The ROI just did not work for us, so we had to find a new narrator. 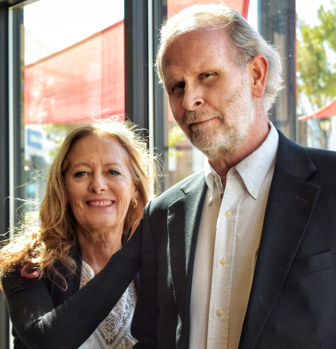 With book 6 currently in production, we are still learning how to help and support our narrator, Derek Shoales, who is doing a fabulous job of bringing our characters and stories to a new dimension. 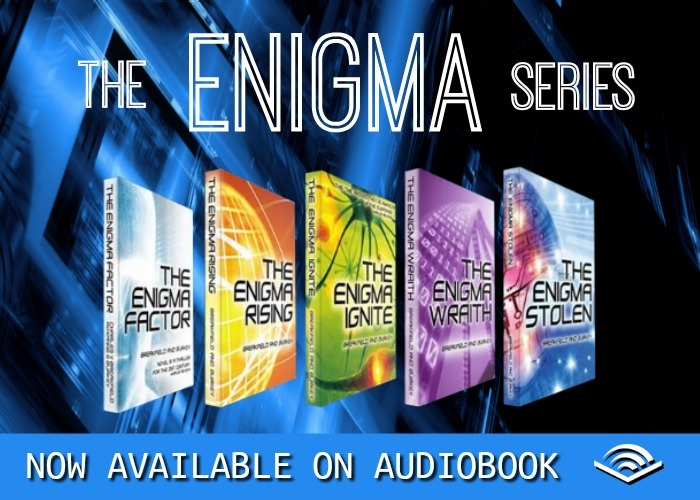 Any writing can be translated into a great audiobook format with the right narrator, open discussion/exchanges between the authors and timely feedback. Only a picture book with no words would have an issue. Burkey has started to listen to audiobooks and her appreciation for the effort continues to grow. When we started writing and getting reviews we were hoping for the big screen with our series, like a Netflix, or Amazon series. We write about applied technology because it is what we know from our professional background. In answer to your question, we deliberately wrote each story with the idea in mind that we would port it to another media type. We loaded up a sample of our story into ACX and solicited for narrators to essentially audition. We listened carefully to the way they told the story and selected the one we thought would bring the best voice to our series. When you have a character universe of 160+ like ours, it is important to make sure your voice actor can properly cover the range. This isn’t like reading to your young ones at bedtime but really a narrator who can become the character(s) and deliver an enriched story to the listener. With the first book we did not work closely enough. We were still new to the process and changes which we would have liked seemed daunting. Without directions or author notes to guide, different narrators will deliver the work in their own ways. After the first one we have started to provide pronunciations on words, insights to the characters, and locations as well as catching the time in a given recording where we would like a change. This has made the process into an amazing partnership. We feel like our narrator is part of our team. You should know that not everything easily translates from the written word to a compelling audible. Derek caught a conversion problem when taking it to the audible format that we completely missed. Look for that skill in your narrator.